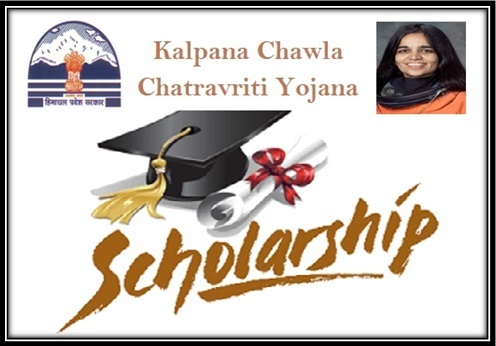 The state government of Himachal Pradesh has announced the launch of the new educational scheme termed as Kalpana Chawla Chtravriti Yojana for the academic year 2017 via online means. Under the scheme it is certain that the state government aims at offering better educational benefits including financial assistance for meritorious girl students within the state. It is also possible for students to communicate further for the registration process via the Head of institute or school where they are presently studying. It is certain that the state government of Himachal Pradesh is aiming to develop the level of education within the state by offering with vocational and technical educational access to the students through scholarship programs. Under the new implementation it is certain that the state government aims at motivating more number of students to complete their higher and professional education by running and sponsoring such scholarship programs. It is also certain that under the new scheme the state government aims at offering scholarships to selected 2000 girl students from various streams of education including Commerce, Science and Arts. The process of selection shall be performed after closely monitoring the pass ratio of the students in their 12th grade exams for the current academic year. The educational board of the state shall be engaged in preparing a complete list of the girl students who managed to top in the merit list of the state level examination for current year. Under the new scheme it is certain that the state government aims at offering with scholarship help worth Rs 15000 yearly for each of the meritorious girl student of the state. It is also certain that the student can request for the renewal of the scholarship for second and third year during the time of completion of the three year diploma or degree. According to the state government sources it is certain that the benefit of the scheme will only be offered to any girl student who is citizen of the Himachal Pradesh state by birth. Any student who is already registered for any of the post graduate programs in any of the streams for full time basis is eligible to take the benefit of the scheme. The same facility shall also be offered to any student who has taken admission for full time diploma course in any notified institution for any professional post graduate program. Students who have already taken scholarship benefit from other government schemes will not be eligible under the scheme. The students can further go ahead and request for renewal of the scholarship program for certificate, diploma or degree program only if the student manages to score passing grade in the exams. At the time of applying for the registration under the scheme it is certain that students will have to present passport sized latest photograph along with forms in JPG format. It is also obvious that students will have to submit a copy of their Aadhar card as scanned document to be uploaded along with the application form. Proof of the student being a resident of Himachal Pradesh should also be submitted by the student. The student will also have to submit a copy of their past years result that is attested by the school or educational institute. To avail the scholarship amount it is certain that the student will have to provide with a copy of their bank pass book copy. Students also have to present a copy of their caste identification as proof along with the application form. It is certain that the family income proof should also be submitted before apply for the scholarship plan along with BPL and IRDP certificates. When applying for the scholarship fee it is certain that students will have to submit a copy of the fee as charged by the university or college. If the student is having a copy of the fee paid till date they are expected to submit a copy of it along with the form. All the documents have to be submitted along with a copy of the selection letter issued by the educational authority. To fill in for the registration it is certain that the student has to log on to the official website http://hpepass.cgg.gov.in/NewHomwPage.do and click enter from browsing tab. Next you have to locate the students login tab and provide with few of your basic information for creating login ID and Password. Once you have completed this stage you shall be forwarded with your login ID and PW and details shall be sent to you. Now you have to make use of the provided ID and PW and then try and log in to your account. You shall be redirected to the page where you will have to fill in the details in the application form. It is certain that you have to provide with all details asked and then upload a copy of your photograph. Once you have submitted the form you can also request for a hard copy in the form of print out and keep it with you. If any student fails to submit the copy of the application form online then he or she can visit the Head of institute or school and submit the form in the office. The institute will file a copy of the form for their record and then direct you towards the online website so you can fill in the form and submit it online. The Head will also forward a copy for verification to the Directorate so it can be verified online. It is certain that the student will again be redirected towards the right channel for completing the process of submission. With the launch of the new online channel for registration process it is certain that the state government wants to ensure that all facilities be provided to the deserving girl students in the state who want to complete their professional level of education.